Not all promotional caps are made the same. 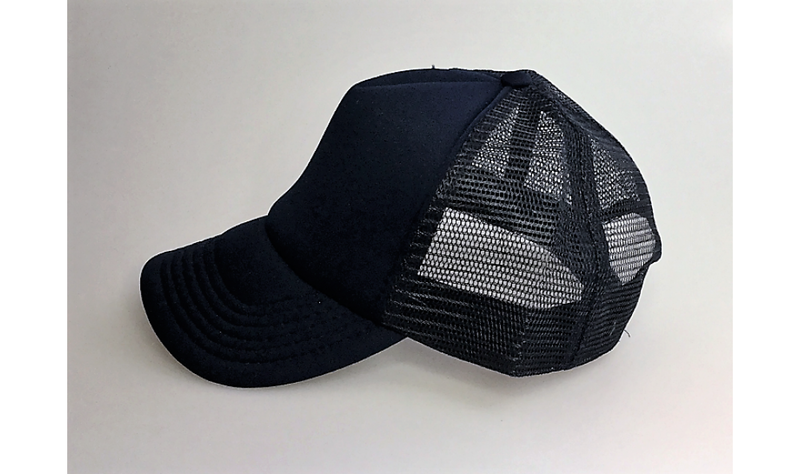 This trucker style cap is made from breathable poly twill fabric with mesh backing. It is available in a single size that fits most heads. It comes with a double plastic snap closure. 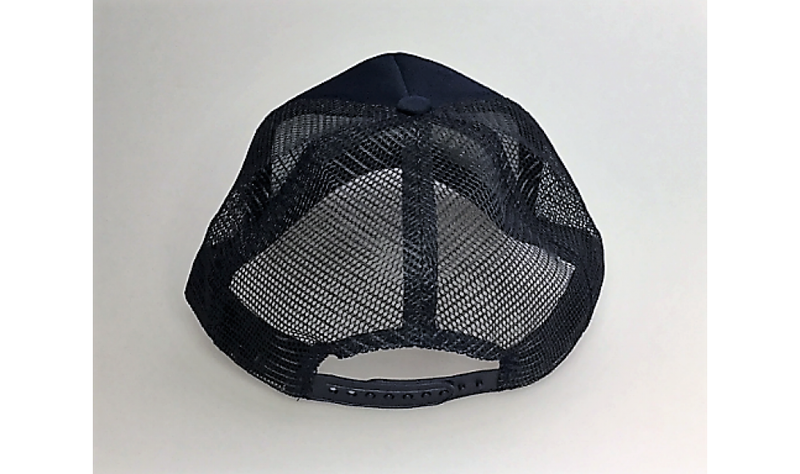 The top of the cap takes a convex shape, and the cap is light and breathable due to the rear mesh. 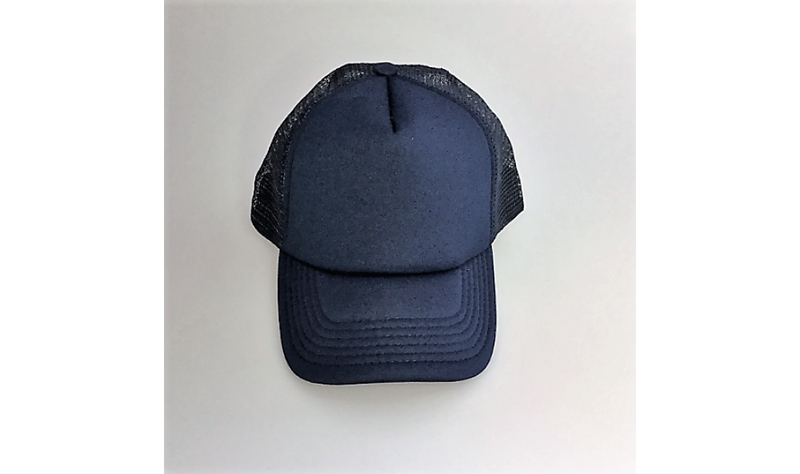 The cap is both comfortable and practical, protecting your face and head from direct sunlight that can damage your skin. This cap is suitable for the adult age group and offers versatile sizing and fitting. You can choose the color that best matches your organisation's logo. With a large branding area in front, these caps make great branded merchandise. 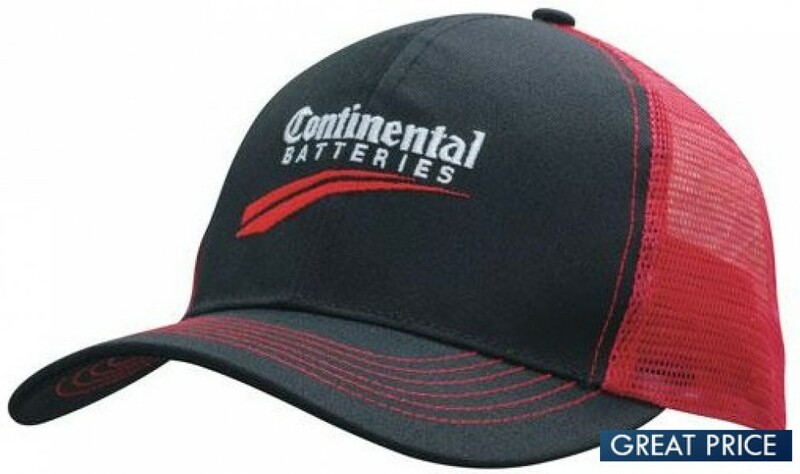 Your company or club logo will be embroidered on the front crown of the cap by our team of experienced decorators. Listed prices of our caps include 8k stitch count embroidery. We provide free digital mock-up with every bulk order to help you visualise the finished product. Artwork for the cap must be supplied in eps, pdf or high resolution jpeg. The price excludes GST and delivery. It is stocked in locally in Australia and available for branding using our fast 1 week production time frame. We deliver across Australia to all areas, city, town or regional, and to all states and territories -- NSW | VIC | QLD | WA | SA | TAS | ACT | NT. Ask our friendly sales staff for freight costs and delivery time to your area. We are not able to deliver outside of Australia.